A US Intelligence officer, engaged in assessing the ramifications of a prospective Israeli attack confirmed that they have been watching what Israel is doing in Azerbaijan and we’re not happy about it.’” And this is just the latest in a series of high-profile stories – based, in most cases, on unnamed American sources – warning Israel’s enemy about a possible strike. The moronic thinking of the Obama Regime believes if Israel attacked, then Iran who developed its program in contrary to the NPT (Non-Proliferation Treaty) it signed, and despite international inspectors may choose not to let those inspectors back in and, as a result, have an easier time pursuing nuclear weapons. Now, that is an riduculous piece of non-logic: If you strike Iran’s nuclear programs, Iran won’t let back in the inspectors who were so unsuccessful in the first place that Tehran is now on the verge of nuclear capability (or as some believe already has acquired that capability). A report Wednesday by the Congressional Research Service – the US Congress’s supposed nonpartisan “think tank” said Iran could recover from a strike and rebuild its centrifuge workshops within six months, suggesting that Israel’s strike would would be futile. It is “unclear what the ultimate effect of a strike would be on the likelihood of Iran acquiring nuclear weapons,” the report read. These reports are obviously fabricated to send a message to Israel – Don’t Strike Iran unless We Sign Off on It. Former U.S. diplomat John Bolton alleged Thursday that the Obama administration leaked a story about covert Israeli activity in Azerbaijan – along Iran’s northern border, in order to foil potential plans by the country to attack Iran’s nuclear program. Bolton, who served as U.S. ambassador to the United Nations in the George W. Bush administration, was responding to an article in Foreign Policy magazine that quoted government sources claiming Israel had been granted access to airfields. Even after meeting recently, Israel and the Obama Regime don’t see eye to eye and Israel is preparing to carry out it’s plans. Obama is pulling out all the stops to prevent Israel from striking Iran, even revealing operational plans to Israel’s enemy – a traitorous act for sure. The Tanakh states that Hashem will bless those who bless Abraham’s chosen line and that HaShem will curse those who curse them. That includes our imp of a President – Barak Hussien Obama – may his name be forever erased from our memories. Reza Kahlili of WND has written a article on Iran’s preparations for war, specifically a Gog Magog war led by the Al-Mahdi, the Shiites legendary 12 Imam who according to Islamic prophecy will conquer the nations of the infidels. Reza reports in his article that Iran’s supreme leader, Ayatollah Ali Khamenei, has held several secret meetings with his economic and military advisers in recent days to prepare for the possibility of war with the United States. Khamenei has been heard to say that the coming of the Shiites’ 12th Imam Mahdi is near and that specific actions need to be taken to protect the Islamic regime for upcoming events. Mahdi, according to Shiite belief, will reappear at the time of Armageddon, a Gog Magog war spoken of in the Prophets. He has noted that certain elements within the Revolutionary Guards and Basij have been trained under a task force called “Soldiers of Imam Mahdi” and they will bear the responsibility of security and protecting the regime against uprisings. The plan by the leader calls for total control of Tehran, the capital where the presence of the Basij and Hezbollah militias would be quite visible so that no one would dare to challenge the regime. Khamenei’s measures are based either on an understanding that war could be imminent or that the regime has decided to announce it has nuclear capability and is getting ready for a possible reaction from Israel or America. Ayatollah Mesbah Yazdi, an influential cleric and a radical Twelver, previously had stated that Khamenei ascends to the sky every year to take direction from Imam Mahdi, and sources close to the cleric have disclosed that Khamenei has been ordered by Imam Mahdi to continue with the nuclear program despite worldwide objection as it will facilitate his coming. Last March, a Iranian secret documentary, “The Coming Is Upon Us,” was revealed to depict Khamenei as the mythical figure who creates the environment for the reappearance of Mahdi by leading Iran to destroy Israel. Recently, Israel released a series of photographsthat are intended to convey a stern warning to Iran to tread carefully. 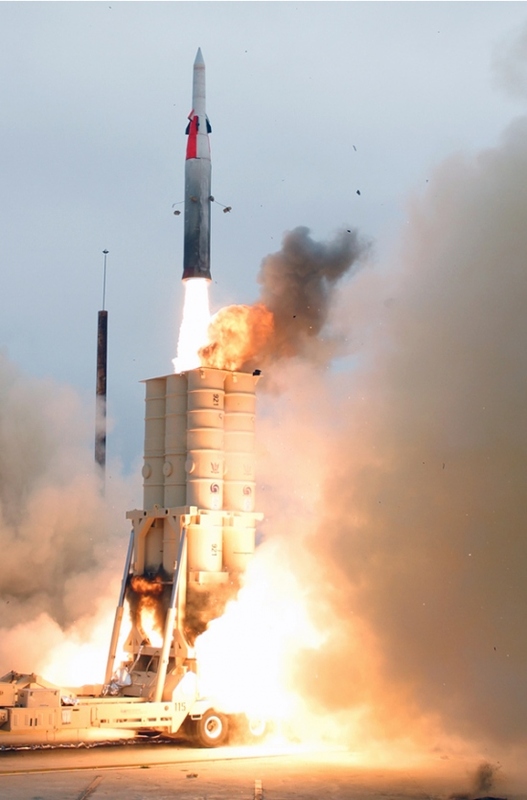 The photos released by the Israeli defense establishment of an Arrow 3 anti-missile defense system test as well as other pictures of Israel’s military vigilance. While it is biblically debatable whether the Islamic Coalition of Psalm 83 is a separate event from the Gog Magog Wars spoken of in the Prophets, both events show HaShem’s Hand in protecting Israel from the surrounding nations. 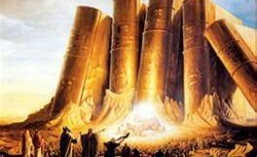 It should also be noted that Psalm 83 references events in the time of Devorah (Judges) which depict an ancient battle in the area of Megiddo. It may very well be that the wars depicted in Psalm 83, Ezekiel 38 and the Armageddon battle from the Christian texts are referring to the same series of events. Regardless, Israel will emerge from these catastrophes intact and stronger than before. America’s relationship with Iran has been extremely hostile over the past several decades. From the perspective of most Americans, the seminal event of US-Iranian relations was the siege of the US embassy in Tehran and the subsequent holding of its staff as hostages back in the 1970s. Many Americans lack a more global perspective of the history of American interactions with Persia. One of the most critical events in that relationship occurred over 50 years ago during the Eisenhower Administration. While Americans may know little about Operation Ajax, its memory still evokes intense anger from nearly every Iranian. 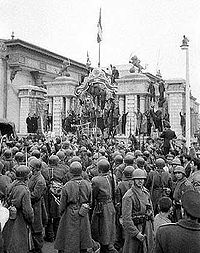 The 1953 Iranian coup d’état (known in Iran as the 28 Mordad coup) was the intentional overthrow of the democratically elected government of Iranian Prime Minister Mohammad Mosaddeq on 19 August 1953, orchestrated by the intelligence agencies of Great Britain and the United States under the name TPAJAX Project.The coup saw the transition of Mohammad-Rezā Shāh Pahlavi from a constitutional monarch to an authoritarian one who relied heavily on United States support to hold on to power until his own overthrow in February 1979. Sandra Mackey’s book The Iranians addresses the overthrow of Muhammad Mossadeq’s short-lived, democratic government by the Central Intelligence Agency in 1953 and the reinstallation of the Shah to the throne. In 1951, control of Iran’s oil fields by British company – The Anglo-Iranian Oil Company, or AIOC, now British Petroleum (BP) became a political topic. The Iranian people believed, justifiably so, that the arrangement between the Iranian government and AIOC unfairly benefited the company. Muhammad Mossadeq, then a member of the Iranian parliament, took the lead in demanding a renegotiation of the pact. The masses of the Iranian people rallied to his standard and quickly made him the most revered leader in the land. The Shah, who then ruled as an authoritarian monarch, lost control of events as his previously powerless parliament (the Majlis) took on a life of its own. With Mossadeq leading the charge against Iran’s economic master, the Majlis, on March 15, boldly nationalized the Anglo-Iranian Oil Company…On April 29, the same Majlis elected Muhammad Mossadeq prime minister. While the shah sat on the throne as a mere shadow, Muhammad Mossadeq basked in the acclaim of the vast majority of Iranians, who for the first time in decades gave their genuine respect, devotion, and loyalty to their recognized leader. For the first time in its long history, Iran had a democratically elected leader. Mossadeq demanded a share in the oil profits, a 25% share. The Brits however were not about to allow him to grab any of what they considered their property and contacted the American government to help. Eventually, the decision was made in Washington that Mossadeq had to go. Brigadier General Norman Schwarzkopf (father of the Gulf War commander) and CIA guru Kermit Roosevelt (grandson of Teddy) were ordered to begin a covert operation designed to remove Mossadeq and restore the Shah to absolute authority. A complex plot, codenamed Operation Ajax, was conceived and executed from the US Embassy in Tehran. For nine hours, the pro-shah army, utilizing American-style military strategy and logistics, battled pro-Mossadeq demonstrators. At least 300 people died. By nightfall, the Mossadeq partisans had drawn into a tight cordon around the premier’s palace. Inside, the aged and always ailing prime minister threw a coat over his pajamas, leaped over the garden wall, and went into hiding. Forty-eight hours later he was arrested. The brief euphoric moment when the followers of Mossadeq believed that he held Iran’s destiny in his hands evaporated. The Shah, who had fled to Rome, rode back to power on the tip of American bayonets, a move which infuriated the Shiite Muslim populace. In essence, the United States had engaged in a massive covert operation designed to remove a democratically elected leader from power and reinstall an authoritarian monarch (a mockery of our currently stated desire to “spread democracy” in the Middle East). This affair had several disastrous ramifications for the future of American-Iranian relations. First, the Shah, from that point forward, was viewed as a puppet of America. Consequently, America became complicit to his every oppressive act during the subsequent 26 years of his harsh rule. Second, the American embassy in Tehran was permanently marked as a “nest of spies” in the eyes of the Iranian populace. And third, Iranian democracy was strangled in its crib. The next time the populace rose to overthrow the Shah (in the 1970s), they viewed America as their enemy and were cheering a leader who was significantly less democratic than Mossadeq. When rumors began circulating that the Americans were going to bring the Shah back via yet another covert operation, the Iranian mobs responded by seizing the US embassy in Tehran and holding its workers hostage. Today our WAR ON TERROR is a direct result of our intrusion into the affairs of another counties political landscape. If Mossadeq’s regime had been permitted to continue, it is entirely possible that Iran could have evolved into an authentic democracy, and a friend to the United States. This horrid abuse of power by the US Government has also worsened the relationship between Israel and it’s neighbors, who view the secular Israeli government as a tool of the US. American interventionism destroyed that opportunity and set the stage for many of the tragedies currently haunting the Middle East. If America is ever to have even remotely cordial relations with Iran, we must accept responsibility for the terrible effects of Operation Ajax and admit that we had no right to intervene in a controversy that was wholly the business of the Iranian people. That exploit was unworthy of the memory of our founding fathers and the numerous war dead that America has suffered to prop up the Empire of Amerika.